Are You Ready For The Eagle?? 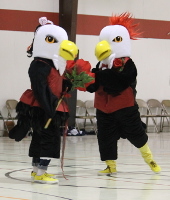 The students and faculty of the 2013-14 school year had the privilege of naming GCA's first Mascot. 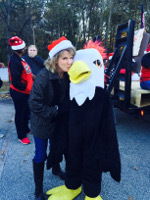 The votes poured in from 1st – 12th grade and a few teachers/administrators joined in the fun. While there were many suggestions, there was one clear winner. 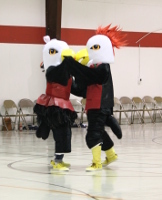 SWOOP was chosen as the official name of the GCA Mascot. 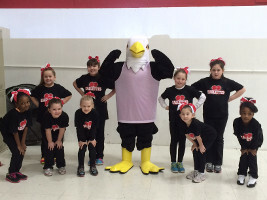 Swoop made his debut during the 2013-14 basketball season and has been a crowd favorite ever since. After the inaugural year, the mascot program was expanded to include Swoopette as well. 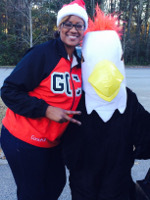 Look for Swoop and Swoopette on the sidelines, in carline or are various GCA functions on campus!